Newberg, OR St. Cousair Co., Ltd. (headquarters: Iizuna-machi, Nagano Prefecture) is a food manufacturing retailer (Food SPA) with more than 110 specialty stores nationwide, including St. Cousair brand stores and Kuze Fuku & Co. St. Cousair, Inc. (hereafter referred to as SCOO / headquarters: Newberg, Oregon / President: Naoki Kuze), a subsidiary of St. Cousair Co., Ltd., held a Grand Opening Reception Party outside the SCOO building on August 9, 2017. 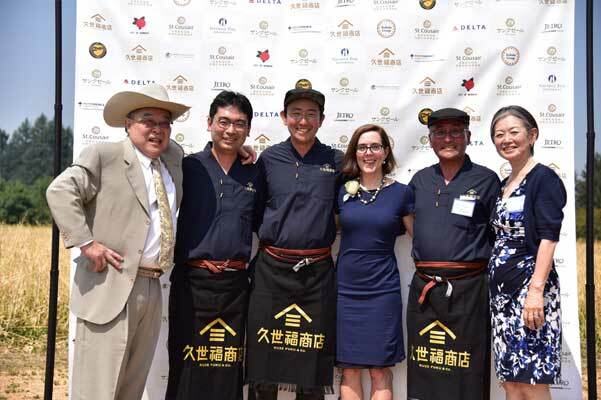 St. Cousair invited Oregon Governor Kate Brown, Consul General Kojiro Uchiyama of the Japanese Consulate in Portland, and Yoshida Group chairman Junki Yoshida as special guests. The Reception was also attended by SCOO’s business partners, for a total of 220 participants. Additionally, twenty of St. Cousair’s staff from Japan came to the location and took part in the management of the Reception. 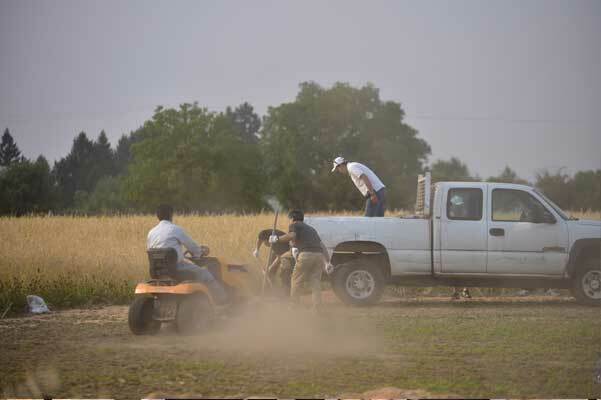 The Reception Party was in the midst of Oregon’s dry season, with temperatures reaching 40 degrees Celsius, but thanks to the dry air, the guests’ sweat dried up quickly and in the shade, the refreshing wind made it more comfortable. 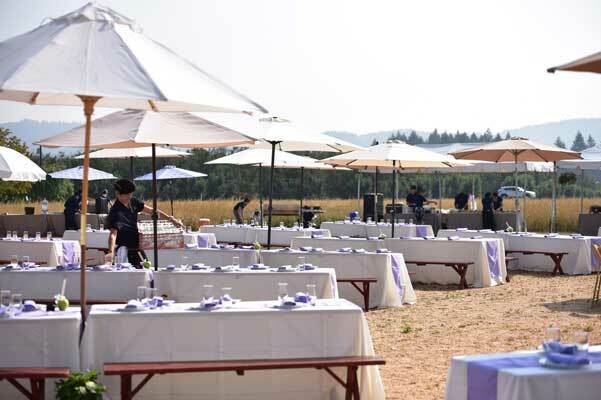 The Reception party took place on a field behind the SCOO Factory building, at the end of the harvesting season. 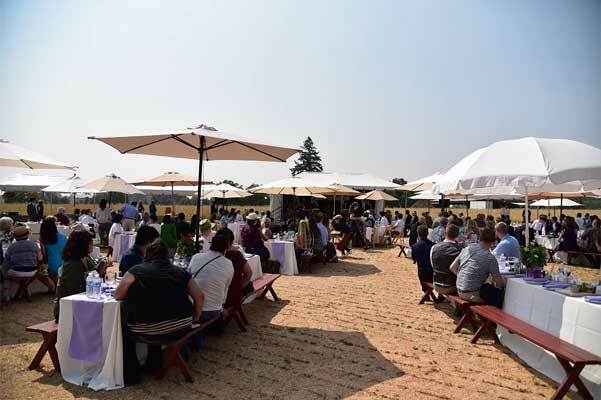 A large circular clearing was made in the mustard-colored field, wood chips were spread to conceal the cracks in the dried ground, and a stage, tables, chairs, and parasols were put out, embodying “Country Comfort,” the brand concept of St. Cousair. The Reception Party began at noon, with a toast of St. Cousair’s sparkling wine and cider. The cuisine was based on the theme of “Japanese Culture for Americans, American Culture for Japanese.” The American food was prepared by the chef of Higgins Restaurant, a popular establishment in Portland. 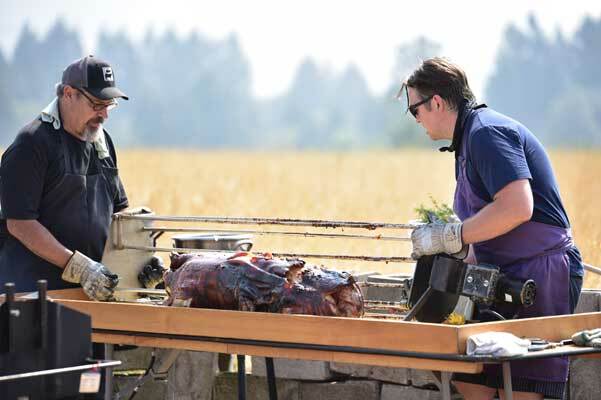 The chef, who is well-known in Portland for his original cuisine, slow roasted a pig since midnight the previous night. The Japanese cuisine was created by St. Cousair restaurant chef Furucha and the chef who offers business class cuisine on Delta Airlines’ Narita to Portland route. 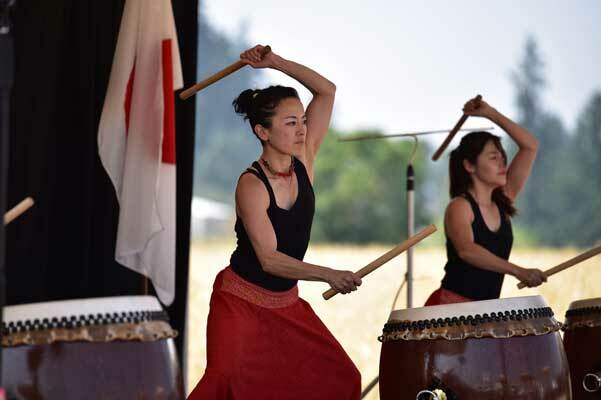 While enjoying the cuisine, for two hours guests were entertained with live taiko drumming performances, mocha-making demonstrations, and speeches by Oregon Governor Kate Brown and Yoshida Group chairman Junki Yoshida. Inside the SCOO factory, posters were displayed and a video telling the story of St. Cousair was played for the visitors, so that they could learn about St. Cousair in Japan. Governor Kate Brown was particularly interested in the video and enjoyed watching the story of St. Cousair. The Governor, who is planning to travel to Japan to host the Business in Oregon seminar in October, was so impressed with St. Cousair that she decided she would visit St. Cousair’s main location on October 13-14, saying that since Oregon is focused on attracting small and medium-sized businesses, she was very happy about SCOO and would like to cooperate with its development. In March of 2015, St. Cousair sent Naoki Kuze, its director of overseas affairs to the West Coast of the United States. With the cooperation of the JETRO main office and its office in Nagano, Naoki conducted market research in the areas of the retail and business food manufacturing industries. In April of 2017, St. Cousair acquired the assets of the former Berry Noir Co-packing, consisting of 30 acres of farmland and a 1000 sq.ft. food production facility for the production of compotes, jams, juices and dressings. The existing employees and customers were retained after the acquisition. The employees were in agreement with SCOO’s management philosophy and decided to continue working. On April 29, 2017 (Japan time), executives of both Berry Noir and St. Cousair, as well as State Government representatives and officials from the Japanese Consulate in Portland, attended the signing ceremony and party for the agreement on the acquisition of Berry Noir’s assets. And on May 1, St. Cousair held a ceremony to mark the beginning of production in the newly organized facility. In June, SCOO began production of “Drinking Vinegar,” its first product for export and sale in Japan. Sales of this product started in late July. 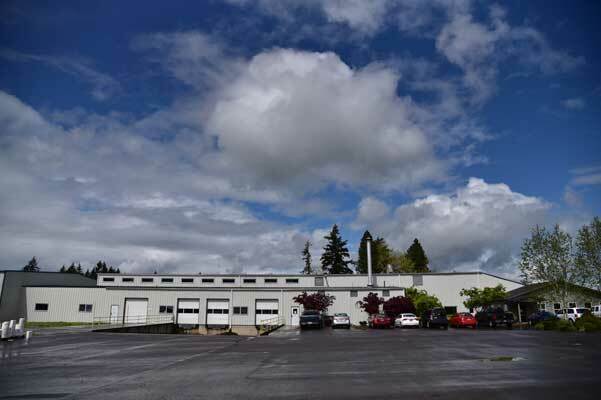 In accordance with the State Government's hope of creating new employment, SCOO has begun recruitment of ten new positions at its Newberg facility, while keeping all current employment in place. As of this writing, five new positions have been created. Additionally, SCOO is planning additional investment of over ¥100 million from Japan. These efforts in Oregon are becoming increasingly important as the global production base of the St. Cousair Group. St. Cousair is hiring! For information about available positions, click here!